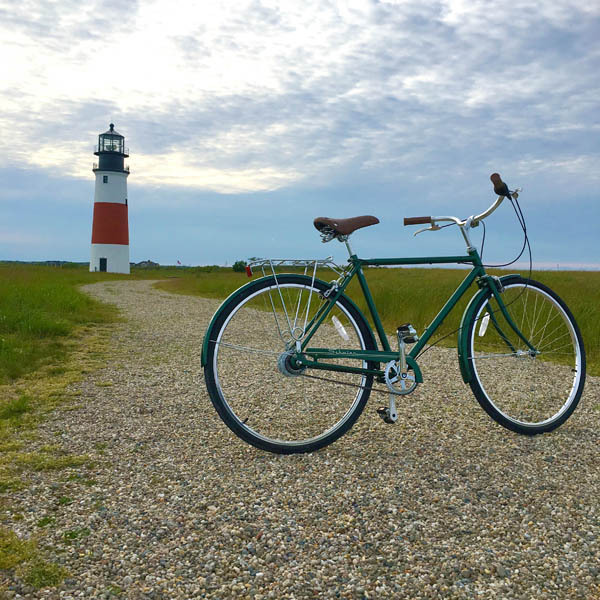 Nantucket, the charming fifty square mile island located a mere thirty miles off the coast of Cape Cod, lures vacationers every summer with its dune swept ocean beaches, quaint cobblestoned streets and historical cedar-shingled architecture. From the bustling downtown to the serene shores, this island offers a bit of something for everyone. Getting to Nantucket may be easier than one imagines. The options are simple as there are but two choices; by air or by water. There are daily flights on and off of the island provided by several commercial and local airlines. From the tri-state area, JetBlue offers direct flights from JFK to Nantucket. The planes are small, but you will be privy to a bird’s eye view of paradise out of all the windows. For those who prefer the water route, the three most reliab le companies offering ferry service to Nantucket are Seastreak from New Bedford, New York City, and New Jersey and Steamship Authority along with Hy-Line departing from Hyannis. Steamship Authority will take you on a relaxing, two-hour scenic route while Hy-Line will get you from dock to dock in approximately one hour. In light of the costly fee to ferry your vehicle over, it is advisable to take advantage of the secure parking lots at the ferry depots. Once you arrive, rental cars and bike are plentiful with taxis, shuttles, and Uber to shuttle you to and from any adventure. Where you choose to stay will affect your overall experience. 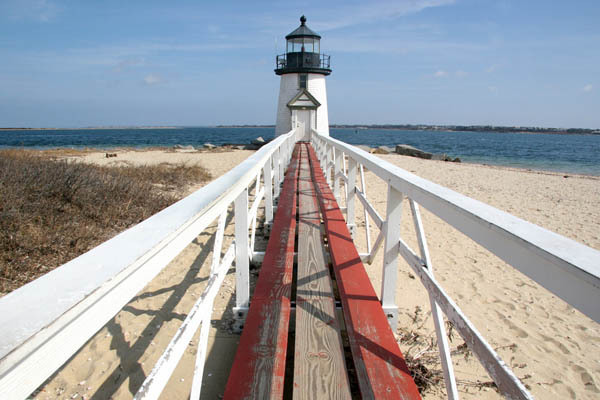 Luckily, Nantucket offers an array of hotels and bed and breakfasts to choose from. 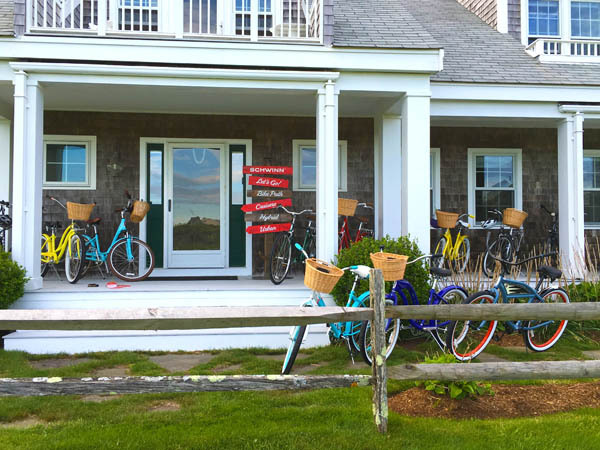 The largest and oldest hotel on the island, The Nantucket Hotel and Resort, offers a full-service family-friendly experience. Fully equipped with a pool, workout facility, and restaurant, the hotel is just a short walk to the beach, town, and shops. An inviting courtyard is one of the many advantages of 76 Main, a picturesque hotel with a polite and welcoming staff. Make sure to leave time to enjoy a drink out by the fire pit and plush and comfortably furnished patio before strolling into the center of it all for dinner. From world-class restaurants to chic boutiques and captivating seascapes, Nantucket has it all. Spend your day meandering along the cobblestone streets of downtown, perusing handcrafted jewelry at the Blue Beetle and designer styles at Island Company, admiring offbeat treasures in the many unique gift shops and treating oneself to a homemade waffle cone from the heavenly Juice Bar. A must place to raise your class is Cisco Brewers, the island’s unique brewery, distillery, and winery located just fifteen minutes from town. Live music, food trucks, and mouthwatering brews create a carefree, delightful atmosphere with family and pet friendly appeal. Just seconds away from Cisco is Bartlett’s Farm, the island’s oldest and largest family owned farm. The market offers fresh locally grown vegetables, fruits, and flowers, as well as quality meats, cheeses, and ingredients to fill your stomach or take back and stock your pantry. Enjoy a fresh lunch out on the picnic tables or stop by to pick up some tasty snacks before hitting the beach. For famous watercolor worthy sunsets, make sure to plan a visit to Madaket Beach, a longtime favorite of locals and vacationers alike. Next on the itinerary is Millie’s for fresh tacos and Tex-Mex cuisine. Guests can walk in right off the beach or take some food to go and enjoy it from the comfort of a cozy blanket while watching the sun slip behind the dunes. Every vacation has a unique set of essentials, so make sure these are stowed away in your travel bag or if your staying for the entire summer season place an order big enough to include friends who will surely be stopping by.